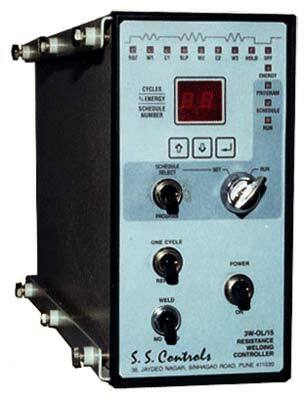 For the best quality Spot Welding Controllers, â��S. S. Controlsâ�� is the perfect destination for you. 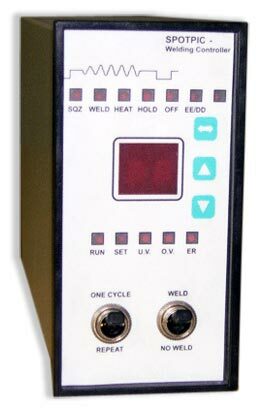 The Micro Controller Based Spot Welding Controllers made accessible by us are find their application in different kinds of welding machines like table mounted microspot welders and manually operated (rocker arm type or similar) spot welding machine. They are known for their low maintenance cost. 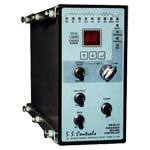 The precise time and energy control of these controllers ensures consistent weld quality. 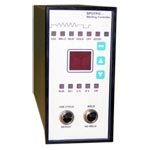 Besides, we are one of the eminent Spot Welding Machine Controller Manufacturers in India. Compact User-Friendly micro controller based circuitry. 3W-OL/15 : Three consecutive programmable weld timings - preheat (W1), weld (W2), anneal (W3) with intermediate cool timings in one weld schedule to achieve high quality splash free welding. Double initiation foot switch, FS1 operates the solenoid valve and FS2 controls welding operation. Non-Volatile Memory (EEPROM) to store up to 15 weld schedules.